Aerosol Technical Solutions offers 30+ years of Aerosol Industry experience, providing a broad range of technical services to Marketers, Manufacturers, Contract Packagers and Suppliers in the Aerosol Industry. In addition, ATS provides independent, 3rd party expert witness services, which include product failure analysis investigations. More Information: go to the Product Development page. More Information: go to the Technology Training page. More Information: go to the Technical Support page. 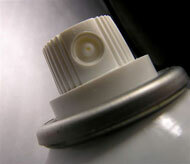 More Information: go to the Aerosol Quality Systems page. More Information: go to the Expert Witness Page. Assisted Multiple Clients in identifying, analyzing, and resolving product development, manufacturing, and quality related problems. Advised Quality Departments of contract packagers on the design and implementation of upgrades to their existing aerosol quality assurance systems. Provided Quality Control Procedures to support the launch of new and improved aerosol products. Reduced Customer Complaints significantly by determining the root cause of the problem and recommending the use of a new valve system. Designed State of the Art Aerosol Laboratories for Fortune 500 aerosol marketers.